Blog – What is the difference between Superstructure and Substructure? Well, one common factor is, you need both to build the Extension bridge! 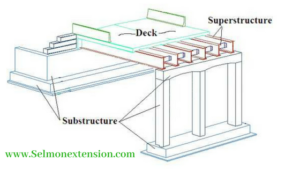 A superstructure (the bridge deck) is an upward extension of an existing structure above a baseline called ground level and it usually serves the purpose of the structure’s intended use. Building parts located above ground such as the column, beam, floor, roof, etc. The formation of the bridge decks on the Extension is scheduled to start early July, weather permitting. As for a substructure, its job serves as a support to the superstructure which sits below ground level, such as the foundation.